Multiblitz, the German lighting manufacturer, has introduced its first LED light to the North American market. The Multiblitz V6 is a multi-voltage continuous lamp that puts out 6000lm and accepts P-type light modifiers including softboxes and beauty dishes. 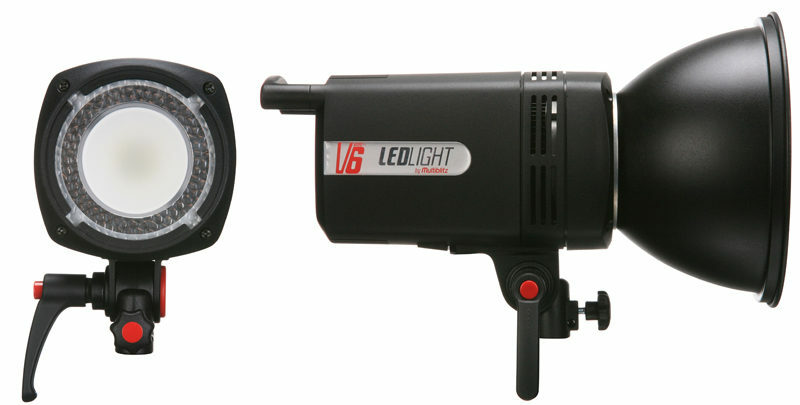 You can control the brightness of the V6 LED over 2.5 stops in 1/2-stop increments. The colour temperature is 4000K and there is a “silencer fan” built-in to keep the unit cool while staying quiet enough for use in video production. The Multiblitz V6 is available on its own for $699 or as part of a studio kit (including softbox, stand and carrying case) for $1049. Visit the Multiblitz USA web site for more information.